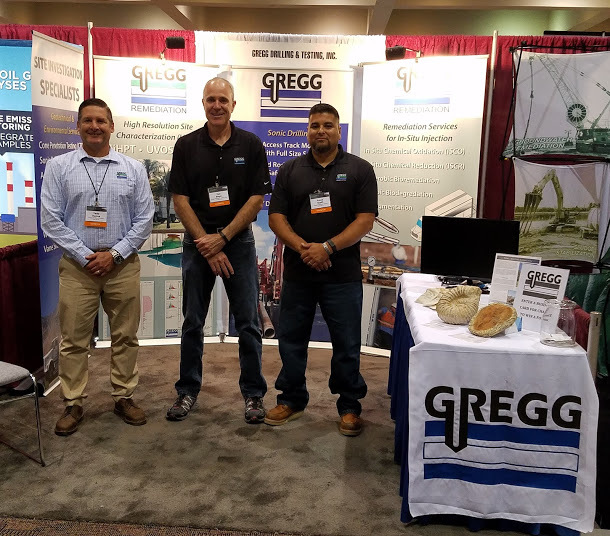 Frank Stolfi, HRSC Division Manager, and Todd Hanna, Remediation Division Manager, join the Gregg Drilling team. Gregg Drilling is pleased to announce our new Remediation and High Resolution Site Characterization (HRSC) Divisions. With the addition of two new highly experienced team members, Gregg is now offering increased services from 3D modelling of MIP data to installation of remediation programs. We are pleased to announce that Frank Stolfi has joined the Gregg Drilling family and will be managing the HRSC division. He brings over 20 years of experience in the environmental field service industry. Frank leads the industry in his expertise and innovation in Direct Sensing tooling such as MIP, HPT and UVOST. Additionally Frank has extensive experience with 3D imaging of environmental data utilizing multiple modeling programs (Rockworks and MVS). Frank provides technical services and modeling support to our clients. Frank also served as a Helicopter Crewchief in the United States Marine Corps. We are pleased to have Todd Hanna join us to manage and continue to develop our remediation business. Todd has more than 22 years experience in the Environmental Industry with a focus on in-situ remediation and direct push technology. Todd’s in-situ remediation experience includes chemical oxidation, chemical reduction, bioremediation, pneumatic and hydraulic emplacement. Todd also brings a wealth of experience in designing remediation equipment. His designs help support result-oriented remediation solutions. Todd also served as a Helicopter Crewchief in the United States Marine Corps – Oorah!